In 1989, Nikki’s view of life transformed after a powerful spiritual awakening through her practice of devotional chanting. 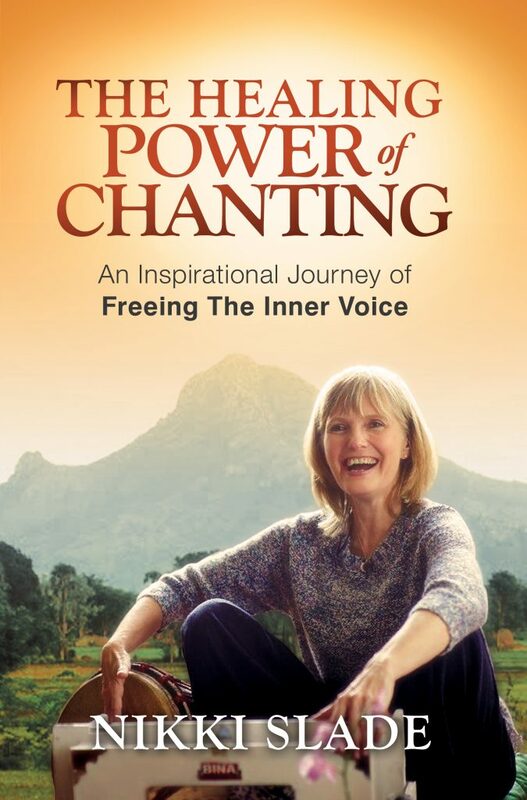 In The Healing Power of Chanting, Nikki leads you through her experience of discovering new-found clarity about the deeper purpose of human relationships and reveals the incredible effect chanting has had in helping to have a daily reprieve from the disease of alcoholism. The deep an profound nature of Nikki’s transformation catalysed her to develop a global career sharing the power of sound vibration and chanting. During the 25 years that Nikki has been sober, her influence has seen thousands of people worldwide free their inner voice. This book has ‘call and response’ tracks designed for you to join in as Nikki is chanting. By chanting the Sanskrit lyrics you are evoking the powers of sacred sounds to heal and empower. The four parts of this book will inspire you to take your own extraordinary journey of transformation as Nikki gifts you with free chanting tracks that you can download and chant along with as you read: your invitation to transform your fears and fulfil the greatest expression of who you are. Please note that after an initial high demand of the book, we are in the process of receiving more books. Delivery time for the book is currently two weeks. If you need the book sooner than this, please order it from Amazon.